Red Auerbach is honored for his career as “the winningest coach” in NBA history. A graduate of George Washington University and a Washington resident Auerbach became head coach and later general manager of the Boston Celtics, leading the team to nine championships, including eight in succession, 1959-1966. One of the most celebrated coaches of all time, Auerbach was named 1965 NBA Coach of the Year and was elected to the Basketball Hall of Fame in 1968. 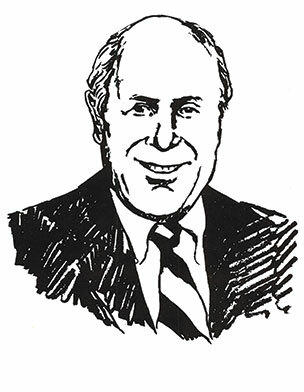 In 1980, Auerbach was selected for the NBA 35th Anniversary Team as the Greatest Coach in the History of the NBA.